This entry was posted in Blog, New Whisky Releases and Bottlings and tagged Kilchoman, Single Malt on 1 September 2010 by Mike. The brand new Kilchoman is now in stock and will be available to try during The Autumn Speyside Festival 2010. Nose: A pleasing balance of sweet ash and some tar. Definite notes of pear drops, vanilla essence, candid lemon and rock salt - packs of Starburst on the bonfire. Taste: Sweet, smoke and spiced fruits in 3 very defined waves. Finish: Quite dry. Peat smoke, cloves and hot chills spices which last for a long time. 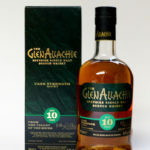 This entry was posted in New Whisky Releases and Bottlings and tagged BenRiach, Dufftown, GlenDtronach, Single Malt, the whisky shop dufftown, The WSD on 24 July 2010 by Mike. The dessert wine has influenced this whisky well and the tasting notes have a lot of pudding notes. There's cream, cherries, raisins and custard. An all-you-can-eat dessert buffet of a whisky. The new wood has given all those vibrant sweet tropical notes to this whisky including banana and coconut along with toasted and nutty aromas. A really vibrant whisky. Tropical and summer fruits come through on this one with the Moscatel finish: peaches, apricots, melons and pineapple. There's also a nuttiness with figs and raisins. A very well balanced dram. The port notes are clearly present with figs, dates, pears and apples and a touch of aniseed. The age of the base whisky is also clearly present. Full of distinguished character. Spiced fruit, syrup and wood notes underline this whisky. A little acidity coming from the Claret as well. This finish has produced a complex result. This whisky has a real flower garden set of aromas to it which must have come from the Rioja. These are complemented by vanilla, cream and oak notes resulting in a very fragrant whisky. Lots of cocoa, berry fruits and crÃƒ¨me-brule are the dominant notes from this whisky. There's also an underlying toasted oak backbone. Quite a weighty whisky. These are all great additions to each range but let's hope there aren't too many more to come!